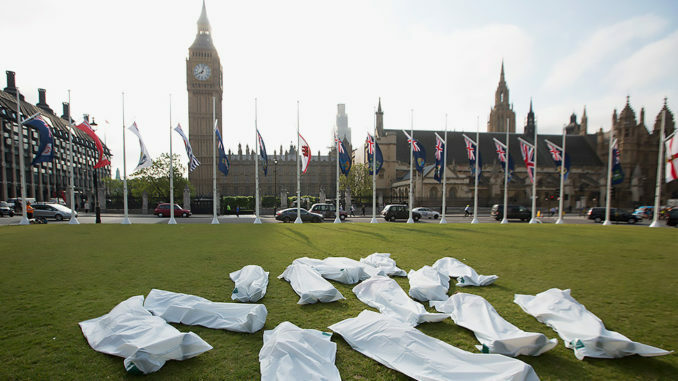 UK Health Minister Stephen Hammond insisted that “the government is preparing for all exit scenarios” and revealed that the NHS is stockpiling body bags. The Tory MP singled out body bags as “essential products” that come to the UK from or through the EU and they are being tockpiled to mitigate against severe disruption to the NHS. The Mirror reports: A letter from health minister Stephen Hammond to a fellow MP, giving assurances to one of his constituents, confirmed the macabre course of action, in a bid to offer reassurance that the NHS will continue to operate despite the disruption.